Lordy, this is deeep! From the epicentre of deep techno, Berlin's Mojuba imprint grace us with this 12" slice of sumptuous dub techno movers. 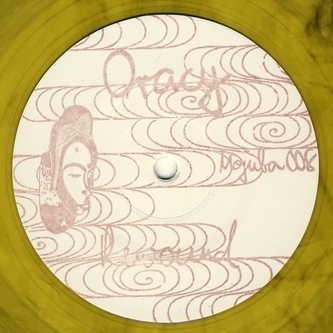 Oracy has previously only delivered a tiny handful of tracks for Don Williams' Mojuba imprint, contributing three 12"s worth of the finest deep techno grooves informed by a love of longview dancefloor tracks and that irrepressibly impassioned Berlin spirit. 'Rewound' was made for never ending weekend dancefloor sessions, with an infinite square bass groove carrying the considerable weight of Oracy's Detroit selected percussion and fathoms deep atmospheres. Displaying that same mutual respect for the motor city magic as the rest of his Berlin brethren, Oracy takes cues from Derrick May, mixes them with a little of his inherited Berlin dub techno genes and emerges with one of the deepest numbers you're likely to hear all year. 'Hold me' continues the passionate Detroit fetish, with another primed midnight groove. Killer.